Saroj completed a BA (Hons.) in Psychology at the University of Delhi and lived for many years in London, raising two young boys whilst her husband ran a highly respected personal training health club. Luckily for us, she and her family eventually moved to Western Australia and after diploma studies with the Australasian Academy of Wellness Therapies, launched Prana Beauty. 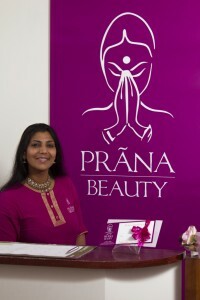 For Saroj, Prana Beauty was to be much more than just another salon with a new name and a fresh lick of paint! In partnership with her husband, she raised the bar to create a haven – a breath of fresh air for a discerning clientele to experience not only the natural goodness of medicinal herbs, the purest lotions, spices, flowers and fruits, but the timeless healing of Ayurveda (an ancient system of medicine which seeks to restore body, mind and spirit to perfect balance and harmony). And it is no accident that resolving weight issues is also integral to her holistic approach… clients are in experienced hands in the Prana personal training studio. Women and men have responded with delight, choosing Prana Beauty for facials, pregnancy massages, waxing, spray tans, FAR infrared therapy, manicures and pedicures and hair treatments and more. She brought Threading to the forefront of our consciousness with the finely tuned (and pain-free) portrait that celebrities the world over consider de rigueur. Elizabeth you have set me a challenge here but I’ll do my best! I guess the first thing would be to say that I am one of those very lucky people who adores their work; so my days are spent caring for the wonderful clients who visit my Perth beauty salon in Applecross. 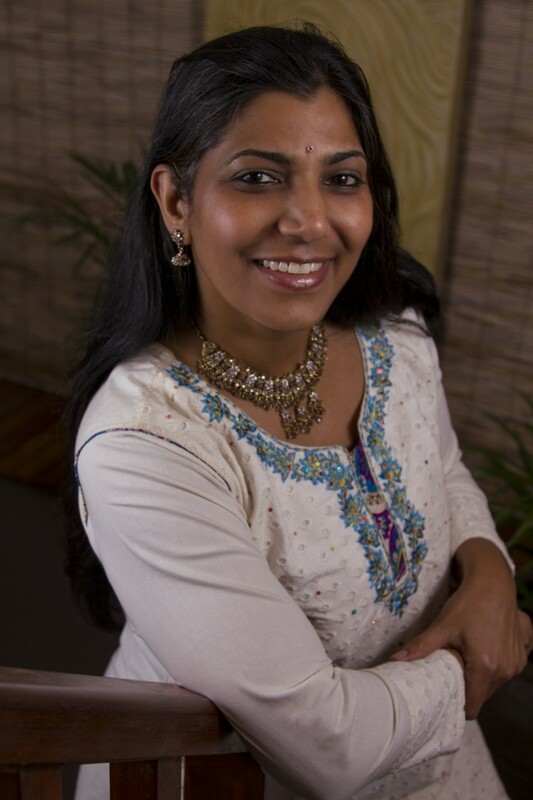 I have long believed in the holistic principles of ayurveda, and that adds another dimension to the treatments Prana Beauty offers, as well as guiding me in life generally. This of course includes the food we eat (I am a passionate cook and often conduct classes for clients and friends) so you see for me everything we put into and onto our bodies is intimately connected to our well-being. What’s been the biggest health challenge you’ve overcome and what did you learn from this experience? What’s your top tip for getting your day off to a great start? I absolutely cannot function without my beloved masala chai, a homemade blend of ground cardamom, fennel seeds, cloves, cinnamon quills, anise and fresh ginger. With a little toast or wholegrain cereal, it adds a certain flavour to the start of my day. Which foods do you eat to nourish your body and give you vitality? I am by upbringing and choice a vegetarian, and I enjoy the challenge of creating protein rich, delicious and nutritious Indian meals. This is not to say that very occasionally you will find me eating pizza if it is made with fresh produce – for this my sons are eternally grateful! Why is fitness an important part of your life and do you have an exercise routine? I exercise regularly and am lucky enough to have everything I need to maintain fitness in the studio attached to our salon. So I have no excuses! But if I am little tired my little secret for a workout without lifting a finger is a luxurious session in our FAR infrared sauna. Your ‘perfect day’ in a nutshell would be…? I think knowing that the people you’ve cared for leave the salon not only more beautiful but content. They have trusted me, and I am thrilled that the promise implicit in Prana Beauty’s treatments has been met. Their kind words touch me so much. Those things make my day a perfect one. Describe what motivated you to choose your current business or career path? It is always difficult to pinpoint when ideas or career choices are made but I do think that I always had the desire to be in service to people. I believe very strongly in the power of nature to heal and beauty treatments are just one aspect of a holistic approach to looking – and actually being – healthy. What business or career challenge have you overcome and what one piece of advice would you like to pass onto others? When you own and run a business the principle challenge is to be true to yourself, and never give less than your best. You cannot shortcut quality and you cannot fake caring. So my advice to others would be: stick to your principles, respect yourself and your clients, and do what you do with all your heart. There will be obstacles along the way… money may be tight sometimes, you may feel overwhelmed or tired sometimes. But you will find life rewards you many times over. Your favourite book or movie of all time is? And why? There are so many wonderfully written books it is hard to pick just one. I must say though that I do love to relax with an Indian movie! A recent one I can recommend to your readers is “Bharg Millka Bharg” a true story of an Indian sporting legend. It’s an uplifting and inspirational movie that has motivated me to go as far as I think I possibly can and then go further. And lastly, do you have a recipe you’d like to share with us? I do! This is from my collection of Indian recipes and is so easy to make! 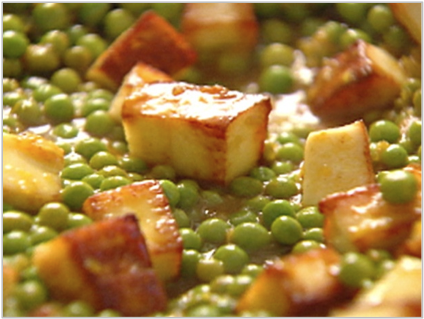 Paneer is a fresh cheese common in South Asian cuisine, of Indian origin. It is an un-aged, non-melting farmer or curd cheese made by curdling heated milk with lemon juice or vinegar. Unlike many cheeses in the world, the making of paneer does not involve rennet as the coagulation agent, thus making it completely lacto-vegetarian and providing one of the sources of protein for vegetarians in India. It is generally unsalted. Although it resembles tofu in appearance, there really is no substitute for it. Turn off the heat and garnish it with coriander. Enjoy with Roti, fresh Naan or Fresh Turkish bread. Bon Appetite!